For 2013, Ranger offers a total of thirty-two models of fibreglass fishing boats in four series, namely Bass, Fish-N-Play, Multi-Species, and Saltwater. Ranger also offers seven models of aluminum fishing boats in two series. The Z520C Carbon, the subject of this review, is one of seven models ranging from over 18 to over 22 feet in length in the Z-Comanche sub-series of fibreglass Bass boats. In describing this all-new for 2013 model, Ranger says, “It’s the most advanced bass boat design in our 45-year history. From its legendary hull to so many revolutionary interior features, this is the ultimate total performance fishing machine.” And let there be no doubt that the ultimate purpose of this Z520C Carbon is purely the pursuit of bass. Every feature, every function on board is dedicated and directed toward this end. The “Carbon” in the model name designates a very comprehensive series of upgrade packages to create a separate model from the also new Z520C model. 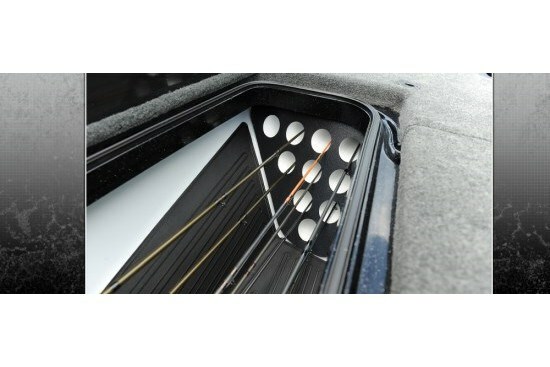 What you get with this “Carbon” model designator includes: the Carbon Fiber Lamination Package with Charcoal Gray Storage Boxes and Special Viper Silver Metallic Color and Paint Process (which itself includes a comprehensive list of special colors and features both inside and outside the boat and also on the trailer); the Touring Package consisting of Deluxe Boat Cover, American Racing Wheels, Trailer Parking Brake, Waterline Stripe, Keel Protector, and Pure Oxygenator™ System; the Red Anodized Color Appointments Package including on the Steering Wheel, the Boarding Ladder, and on the TH Atlas Hydraulic Setback Plate; and the Special Red L.E.D. Lighting Package including in the Cockpit Interior, on the Console Grill, the Fender Step, and the TM Recess. Virtually every cavity between the hull and deck of the Z520C Carbon is utilized either to facilitate the fishing function at hand or is foam filled to not only strengthen and quiet the structure of the boat but also to allow it to achieve level upright flotation if ever swamped. Even the fibreglass stringer system is foam filled. 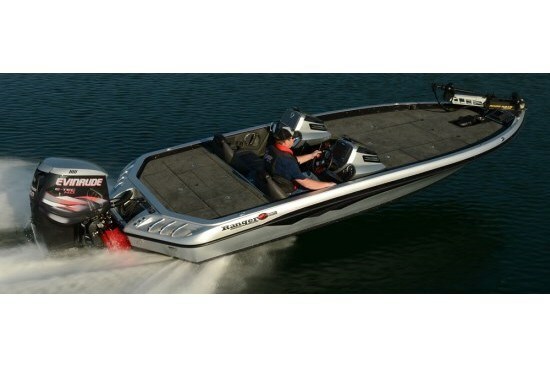 As a purposeful bass fishing machine, this is a two-person boat with driver and passenger Ranger designed and built SRS Soft Riding Seating® bucket seats. In addition, a bike seat with pro pole and one fold-down with power pedestal are also provided for the casting decks. The helm console features custom multi-function gauges including speedo, tachometer, fuel, volt, trim, temperature, and water pressure to keep tabs on your powerful 200 to 250 horsepower outboard available from Evinrude, Mercury, Suzuki, or Yamaha in either two or four-stroke and mounted on a set-back and Jackplate with hydraulic steering standard. The central feature of this dash though, is the standard Lowrance® HSD7 screen with ample space to optionally upgrade from a huge selection of both Humminbird® and Lowrance® models up to a 12” screen. 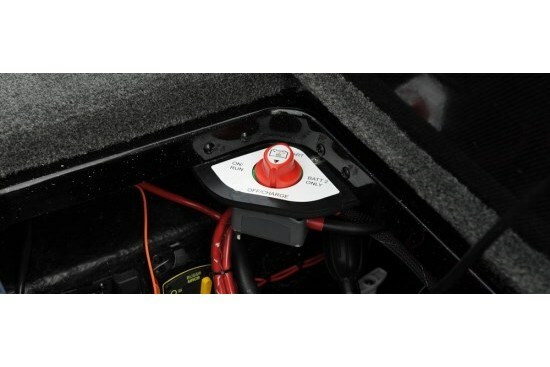 Keyless ignition, an insulated cooler between the seats, plus molded driver and passenger footrests are standard along with a removable windscreen. An optional passenger console is available. 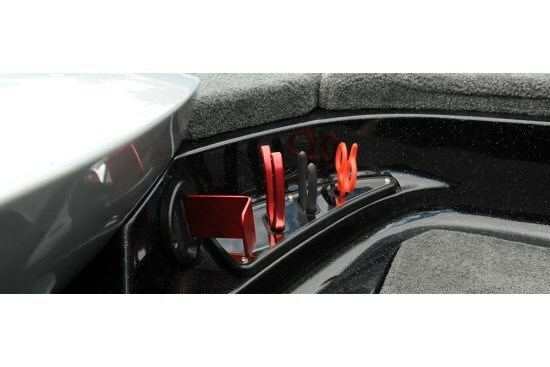 Rod storage is significant on the Z520C Carbon with space for up to twenty rods in the gelcoat-lined and Power Ventilated Rod Storage boxes in the port bow up to 8’6” rods and in the center bow compartment up to 8’ rods with angled rod tubes. Rod holders are slip resistant. 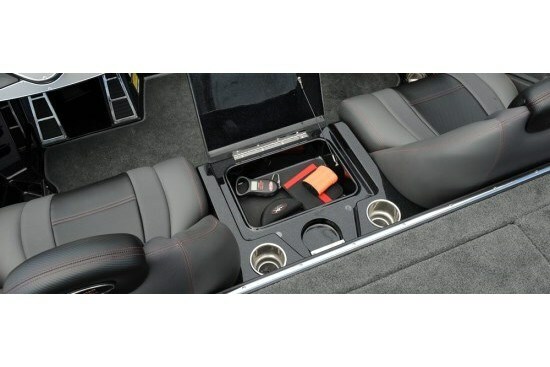 Retractable rod buckles and a Runnin' Rod Rack w/retractable strap are also provided along with a Ranger Tournament Measuring Board and integrated tackle organizer. Lockable storage compartments are within the starboard bow and on each side of the centre stern deck recirculating aerated livewell with lighting, removable divider, filter screens, automatic timer, and venture air system. A separate battery and miscellaneous storage compartment is just ahead of the transom. Other notable standard equipment on the Z520C Carbon includes a second bow-mounted Lowrance® HDS5 sounder, a Minn Kota® Fortrex 80 24V trolling motor with recessed foot pedal, on-board Dual-Pro 15x3 battery charger, stern boarding ladder, pop-up cleats, plus a custom trailer with swing-away tongue. There is a considerable option list of available accessories, most notable of which include a list of fifty-eight electronics upgrades including of course various stereo/satellite/weather plus GPS/data/fishfinding/navigation variations, seventeen Minn Kota® and MotorGuide® trolling motor options, specific motor manufacturer’s gauge package options, steering, trim, and throttle variations, extra seats, poles, and bases, livewell pump options, trailer options, and several miscellaneous items such as a ski tow attachment, etc. There is no doubt that if you equip your Ranger Z520C Carbon exactly the way you want it, that there will be no two alike on the same lake.